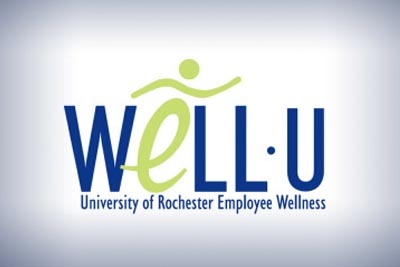 Well-U offers a variety of programs that are FREE to University employees. Programs from Employee Assistance to classes such as Yoga, and Zumba to lunch ‘n learns. Check out all the programs we have and ENROLL today! The University of Rochester Farmers Market connects the UR community to sustainable foods from local farmers. Each week, more than 20 vendors offer seasonal produce, baked goods, artisan crafts, fresh pasta, jams, and more. Market customers can meet the vendors, sample goods, and receive nutrition education and cooking tips. Well-U and Transportation/Parking Management have teamed up once again to promote the benefits of physical activity. The Park & Stride campaign highlights the health benefits of walking from the parking lot to designated entrances of the Medical Center. Certain parking spaces in Lot 1 and Lot 9 are labeled “Park here to walk farther and be healthier”. Classes are offered at different times to accommodate varying schedules. Classes include Yoga, Zumba, Pilates, Boot Camp & more! With WW at work, you have the convenience of WW meetings in your workplace and unlimited meetings in your local community. Subscription includes access to eTools, an internet weight loss companion that helps you stay on track between meetings. Meetings are typically between 30 minutes and 1 hour. The more cards you fill, the more opportunities you have to win.